50 plus new elf-tastic Tasks are yours to perform throughout Isafdar, the Underground Pass, the Poison Waste and Prifddinas itself. Spanning four difficulty tiers, some are as easy entering Arandar Pass wearing Mourner gear or banking a shark inside the Elf Camp, and others are as tough as reaching wave 15 in Gold or Platinum Rush of Blood or accessing the Max Guild. There's skilling and killing aplenty, along with the Tasks will help you stay busy for a while. The reward item with this Task Set is often a RuneScape first: a quiver-slot item that's great for all combat styles, and even though skilling. 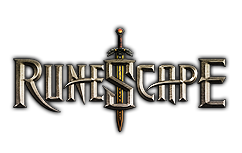 Since you complete the simple, Medium, Hard and Elite tiers, it'll grant increased damage against creatures local to Tirannwn, an expanding list of teleports, and lots of skilling and convenience boosts when worn. You'll find permanent benefits to be earned too, such as a limestone buyer, daily free skilling materials, a chance to not use charges on your own crystal weapons, and more. Of course - last of all - you will discover hefty XP lamps too.